Joyetech Elitar Pipe Tank features with innovative leak resistant cup design. It doesn't include coils. 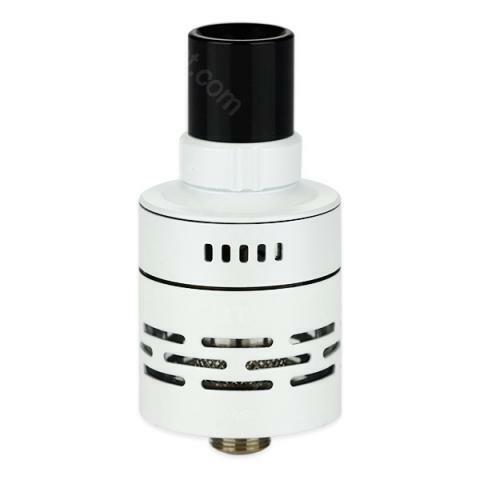 You can buy BF coils for this atomizer. The Elitar Pipe Tank adopts top filling and top airflow detactable structure which enable you to refill the e-liquid with great convenience. It is for Elitar Pipe Battery Body. It is practically a Joyetech mini vtc (a guarantee) with a new dress. I find it very nice and comfortable, great for a slow "home". The price is the best I have found (flash sale). If you like the pipes I recommend it. Joyetech Elitar Pipe Tank Atomizer - 2ml is pretty good. I use it as they don't make a lanyard, big enough for my mod. Seems relatively strong and it's well made. Would buy again. Joyetech war meine erste E- Zigarette und ich muss sagen das ich begeistert bin. Ich war erst unsicher, da doch viele Gerüchte im Umlauf sind die gegen eine solche E-Zigarette sprechen.